Our Bar Ends will keep you from replacing damaged grips every time you lay the bike down. 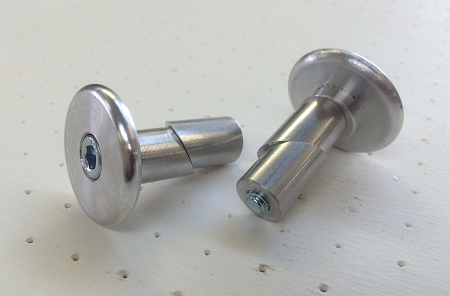 You can also use these Bar Ends to replace your aluminum hand guards for Motocross. Excellent upgrade for locking grips. These Bar Ends will also help prevent your throttle from sticking wide open during right side spills. ~ Works great on 11/16 and 1/2 inch handle bars. Can also be used on watercraft, Snowmobiles, and ATV's.